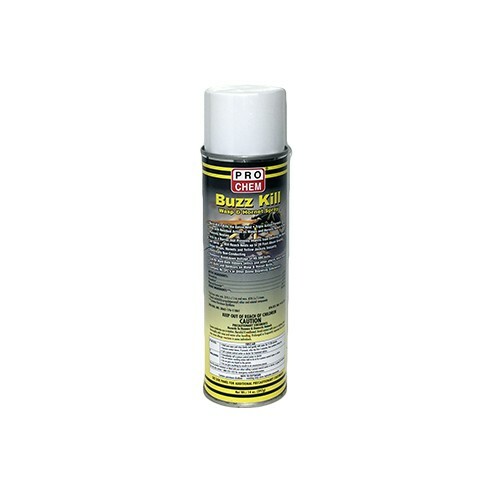 BUZZ KILL | Pro Chem, Inc.
BUZZ KILL contains more active ingredients than other leading wasp and hornet sprays. This revolutionary new product has a more powerful spray, and with its higher concentrations of tetramethrin, permethrin and piperonyl butoxide, nothing kills faster. Its high dielectric strength of 49,500 volts allows it to be sprayed virtually anywhere. 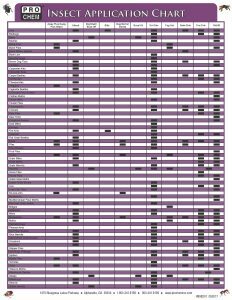 For best results, spray in the early morning or late evening when insect activity is minimal. Stand a safe distance from nest and not directly underneath. Remove protective cap. Hold can upright and point toward nest with wind at your back. Spray until nest is thoroughly saturated to kill the entire nest population. Residual action will kill wasps and hornets returning to the nest. Wait at least 24 hours before removing the nest.